With only ten days to spend in Asia, due to the 16+ hour flights and time out of the office limitations, we planned to pack in a few tourist activities in Hong Kong (a day and a half) and Bangkok (two days total) while maximizing our beach time in Krabi. Thailand’s otherworldly, upside down islands, impossibly turquoise waters and relaxed, wanderlust vibe made the beach, in our case Railay Beach, a must. I spent a lot of time researching on which island to stay. The Krabi region of Thailand has so many beaches to choose from, each with a look and different flavor; we chose Railay because it was reviewed to be the least crowded while still being just a 15-minute longtail ride from Ao Nang. The Phi Phi Islands have the brightest sand, most beautiful water and the photos you will most likely come across on Pinterest, Trip Advisor, etc., but with that well-founded reputation of being the place to be, the beaches and resorts can be very crowded with not only guests but day trippers. 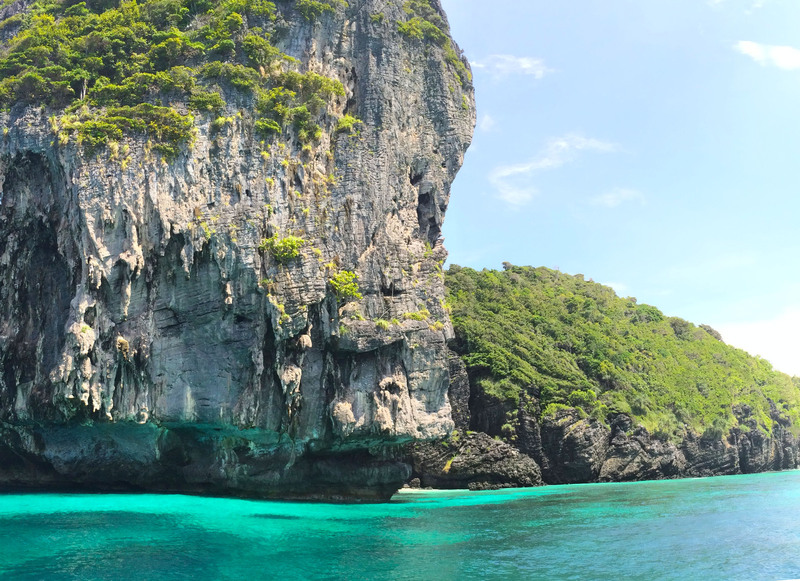 From Railay, we were able to take snorkel trips to Phi Phi, and strategically avoid the super packed (but stunning!) Maya Beach, and for us, it was worth it to have the sunset on Railay practically to ourselves. Looking back on our experience with Railei Beach Club’s private tree house accommodations and Rayavadee’s lush luxury I feel great about our choosing Railay. Our second big win of the trip was booking a guide with yourthaiguide.com while in Bangkok. We are not guided-tour type travelers; we love to traverse a city ourselves, wandering different neighborhoods and museums at our own pace, pretending, with mixed success, to be locals. 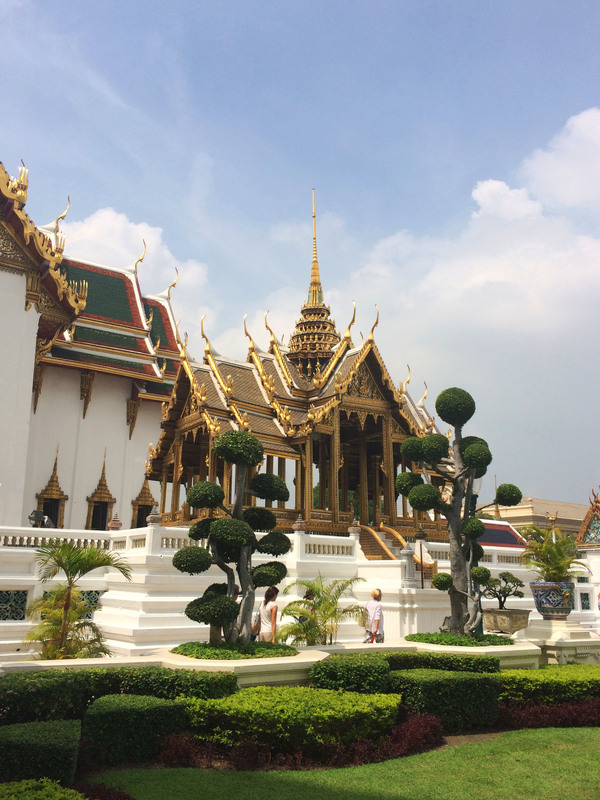 In Bangkok, no one was going to mistake us for locals, and with our time planned so tight, and the logistics of getting to our must-see locations so intimidating, we decided to book a guide. 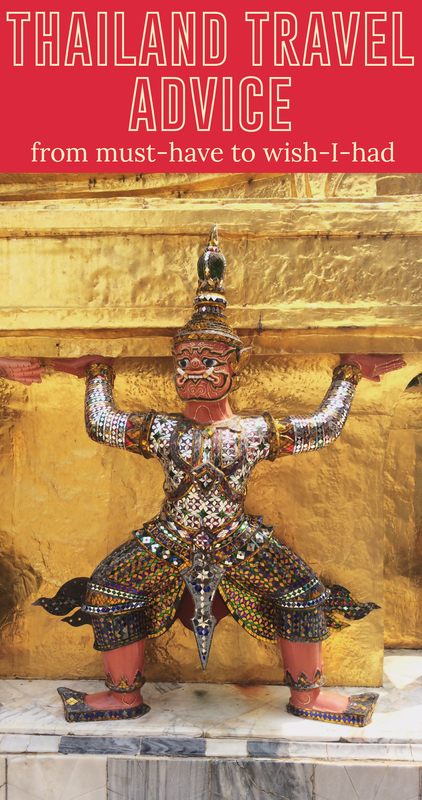 The site’s manager matches the appropriate guide with your specific sight-seeing goals, and we were paired with the charming history-buff, Jean, to take us to The Grand Palace, Wat Pho, Wat Phra Kaew and Wat Traimit. We paid a daily fee for our guide ($90) and our inexpensive, mostly public, transportation ($20ish total for the three of us, all day). 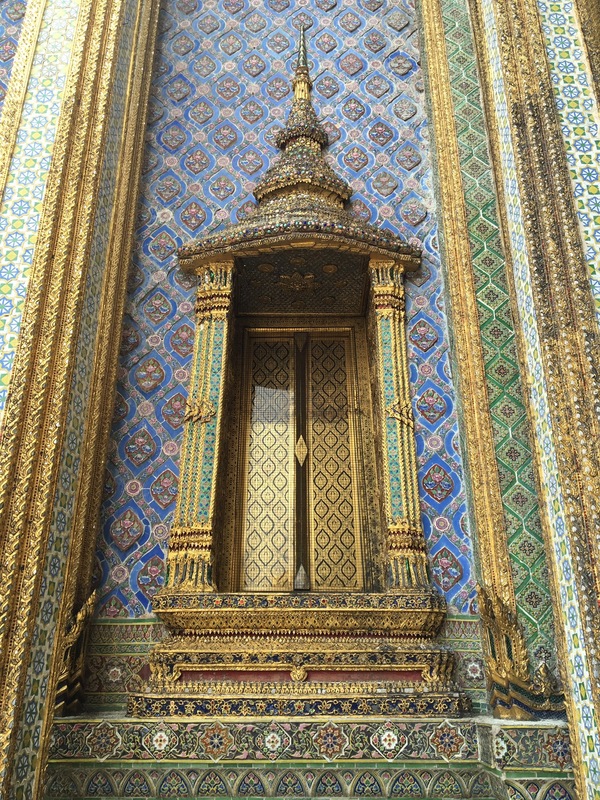 The great thing about Your Thai Guide is that they customize your itinerary to your preferences, and when I was fading before touring our fifth temple, Jean graciously cut the trip short and took us back to the hotel. 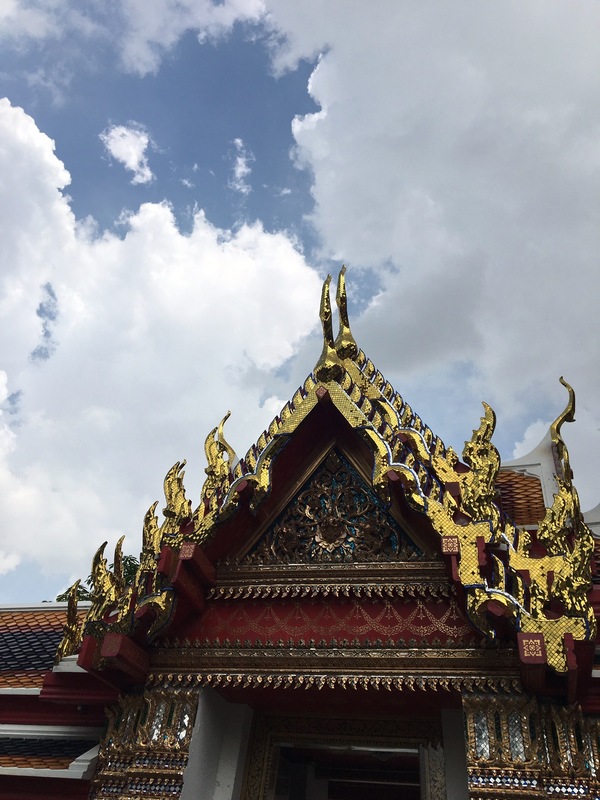 Not only did he seamlessly navigate us by boat, tuk-tuk, and train but he also took us to a great local lunch spot and gave us an interesting education on Bangkok’s stunning temples, long history, and Thailand’s royal family. By this last leg of our Asia trip, we were grateful to be led from temple to temple and not have to make any big decisions past noodles or larb for lunch. 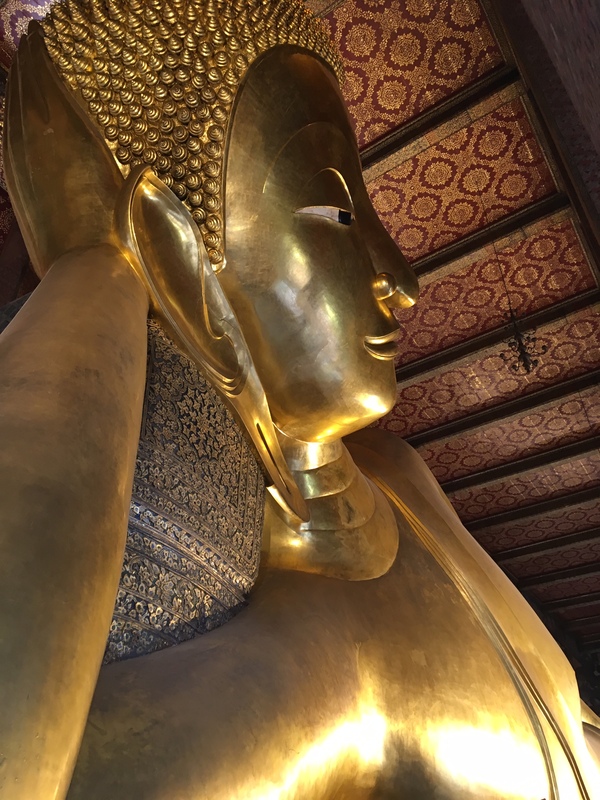 Though Chiang Mai was highly recommended, we had to be ruthless in our itinerary, and another plane trip was too much for our tight timeline to hold. Now, looking at photos of this sleepy, old world city tucked into the foothills of the lush Thai countryside I can’t help kicking myself for being so beach obsessed. I love the beach (and I needed the sun and sand) but passing up what Lonely Planet describes as “temples galore” (30+ ! 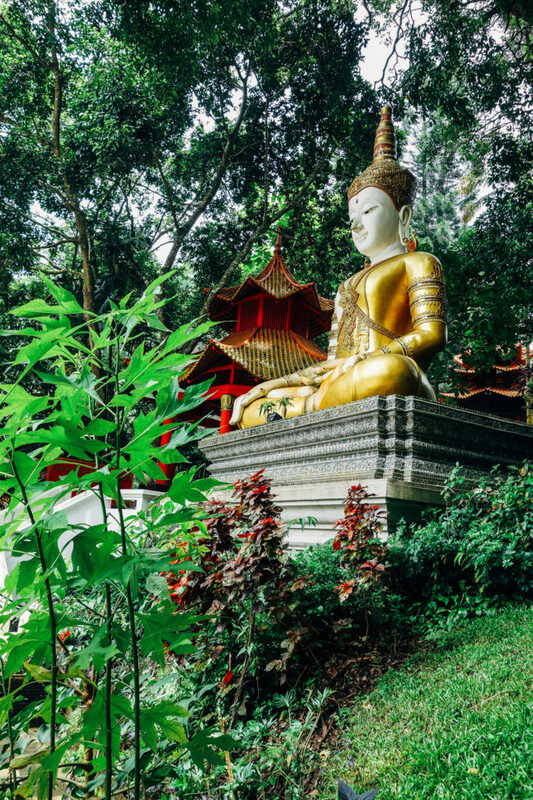 ), a bustling night bazaar and nearby rainforests and nature preserves feels like a big miss. 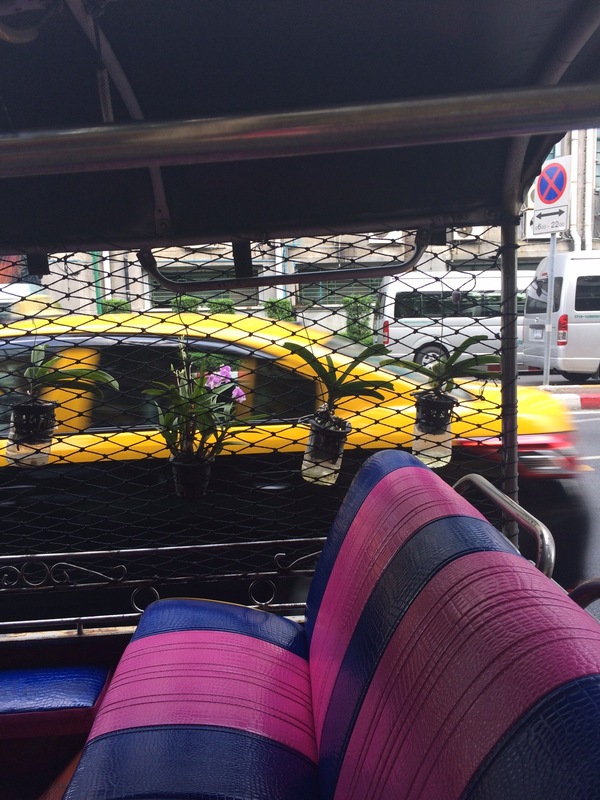 I am still heartbroken we couldn’t make it to Chatuchak Market. Our carefully balanced plan did not have us in Bangkok on a Saturday, and when I discovered my mistake I scheduled last minute, super cheap puddle jumpers to Bangkok from Ao Nang, but after seeing how tedious it was to get to our beach paradise, we forfeited the tickets and just stayed in the treehouse. 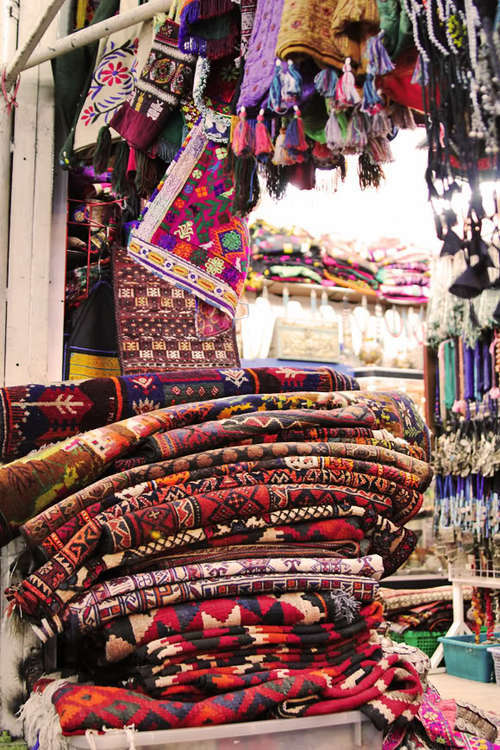 From my FOMO research online, the 27-acre bazaar, which is divided by merchandise category (home, fashion, vintage (! ), beauty, etc.) is chock full of traditional celadon pottery, embellished textiles and just about anything else you could want. The 15,000 stalls of local and imported goods and tasty Thai street food make Chatuchak Weekend Market an epic shopping adventure. I guess we’ll just have to go back, sometime after we cover our other long list of global destinations. The resources I went back to a thousand times when planning our trip were Trip Advisor and Lonely Planet, and I recommend you do if you’re thinking of traveling to Asia (or anywhere! ).